Thank you for all iGEM participants!! We are now working mainly on the Sudoku project. The Sudoku project aims at solving the popular mathematical puzzle Sudoku using E.coli. We have also experimented with the Allergy and Bioaccumlation projects this Summer. In the Allergy project, we planned to modify E.coli to be used as an allergy cure by applying hyposensitization therapy. In the Bioaccumulation project, we planned to modify C.elegans to collect a substances harmful to the body. In this wiki,we will introduce the Sudoku project. If you have any questions about the others projects, please ask us at the Jamboree or by E-mail. ( ). Sudoku is a logical game with the objective of filling in the numbers from 1 to 9 inside a 9x9 grid. The rules are simple: Each number must be used once in the same row, column, and a 3x3 block. In this project E.coli possessing information on the cells of the grid will interact with each other, and determine which which number is to be entered in each cell. This process resembles parallel computation and mimics the differentiation process that takes place during developmental processes. 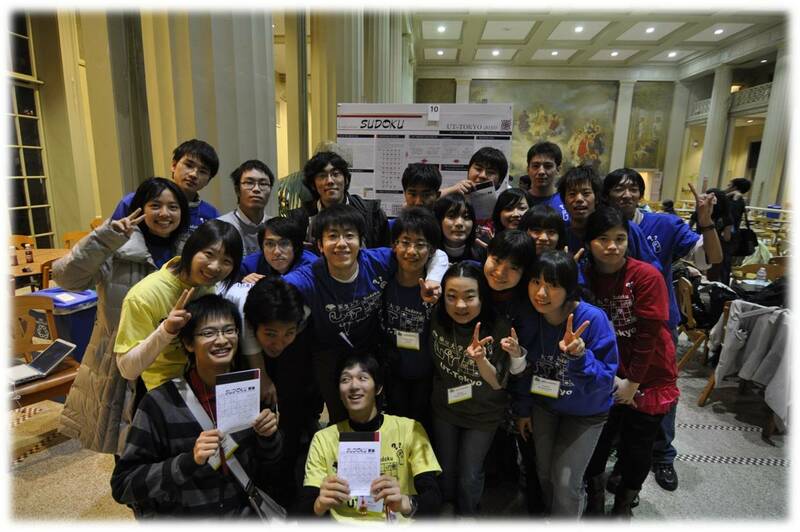 Copyright © 2010 iGEM UT-Tokyo. All rights reserved.